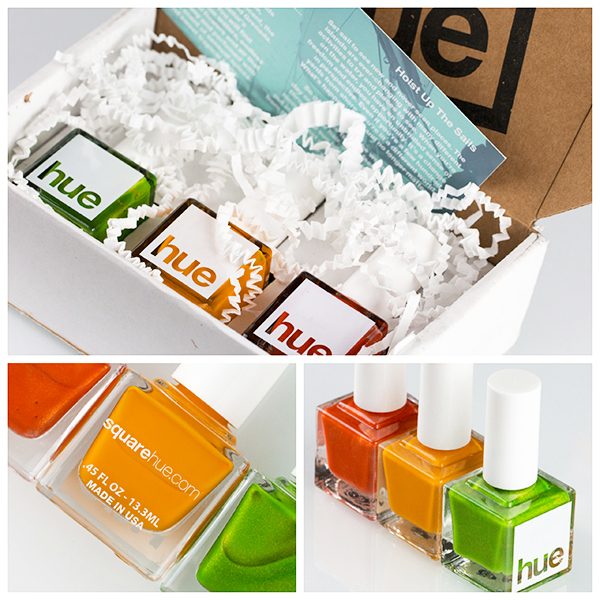 I had been seeing Square Hue all over the place for quite some time so I was super psyched when they generously sent me their most recent box to review. The Adventure collection is full of bold and unique shades and June's box, Sail Windward Islands, is no exception. I can't tell you how much I love each and every one of these shades, so let me just show you instead! The box comes with two shimmers and one cream polish. 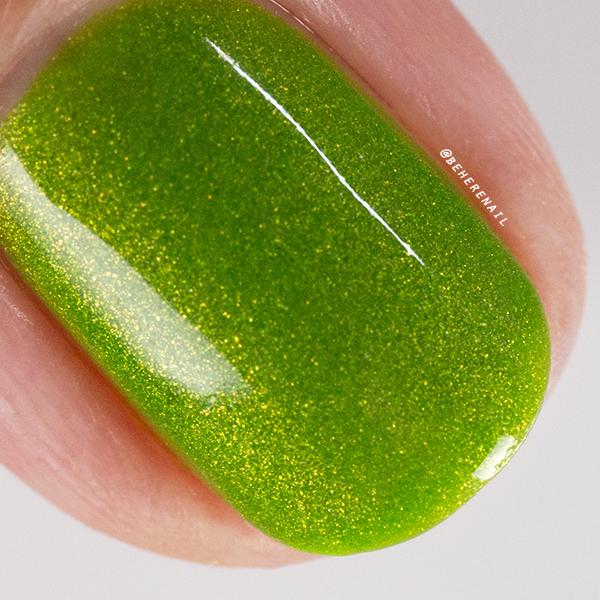 This is Martinique, a glow from within shade of lime with a squishy jelly base and flashy gold shimmer. 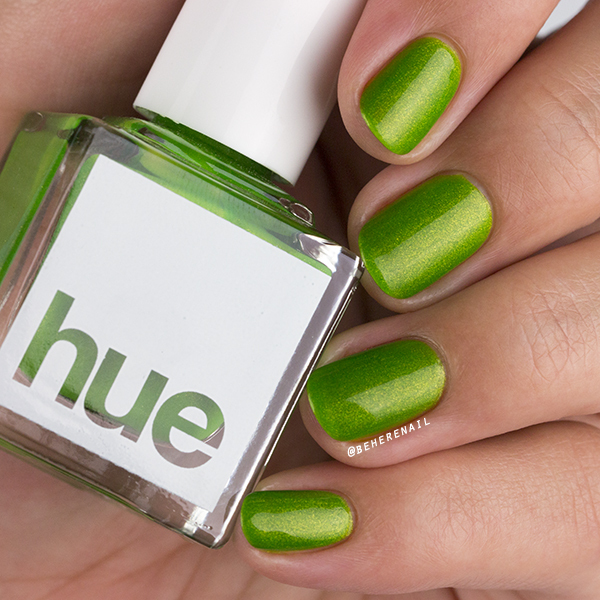 Shown here with three coats, but you could definitely get away with two. 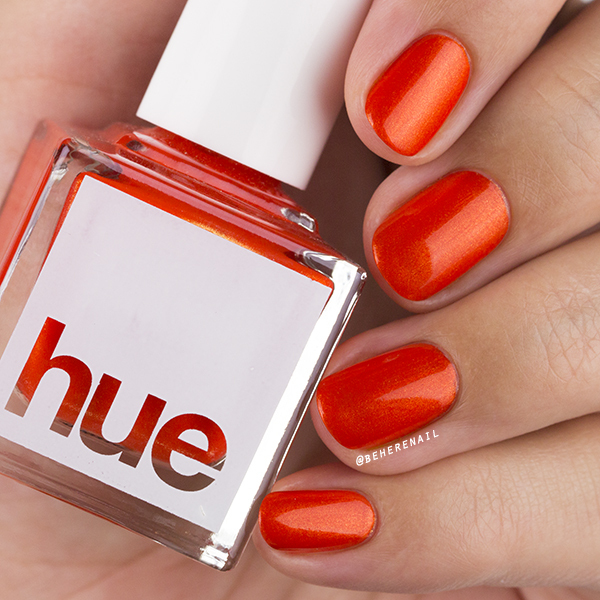 I just prefer to build a bit of depth for maximum effect with shades like this! Honestly one of the most beautiful greens in my collection, and the application was a dream! 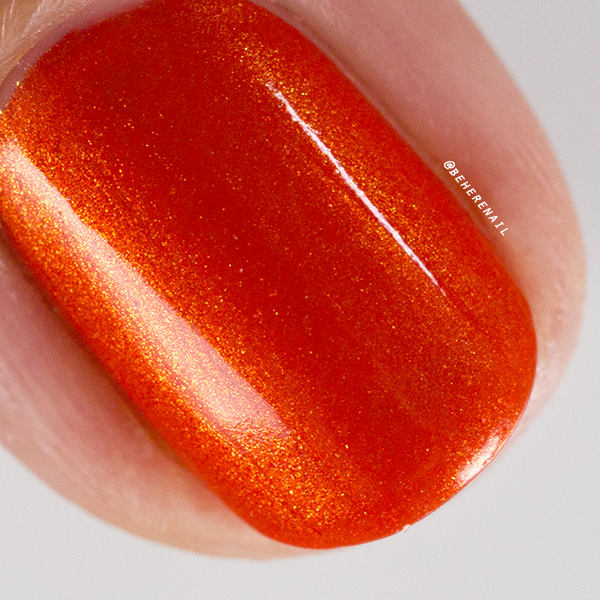 Another magnificently glowy shade, St. Vincent also has a jelly base in a juicy blood orange shade with a finer, but still flashy gold shimmer! I just don't really have words for how gorgeous this is, the saturation on this one is so intense and eye catching, and I feel like I'm repeating myself a lot but it's one of the prettiest oranges I own! 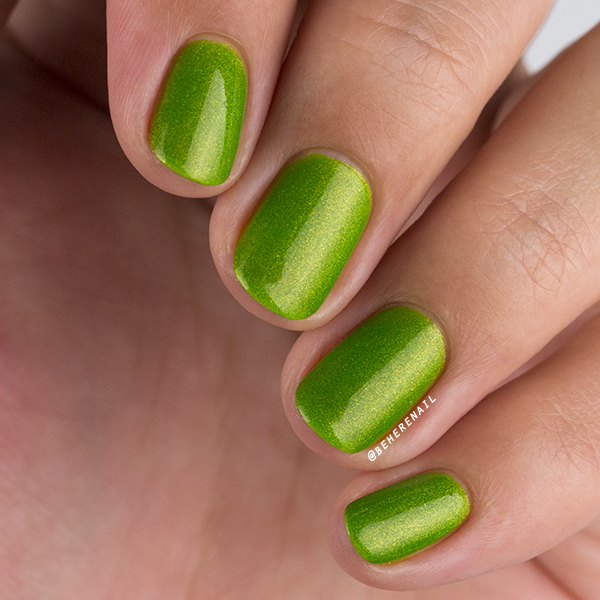 I am showing it here with three coats, two would work, and again the application was smooth as butter! Last we have St. Lucia, a delicious mango yellow that leans orange. It's a super unique shade that makes my mouth water! 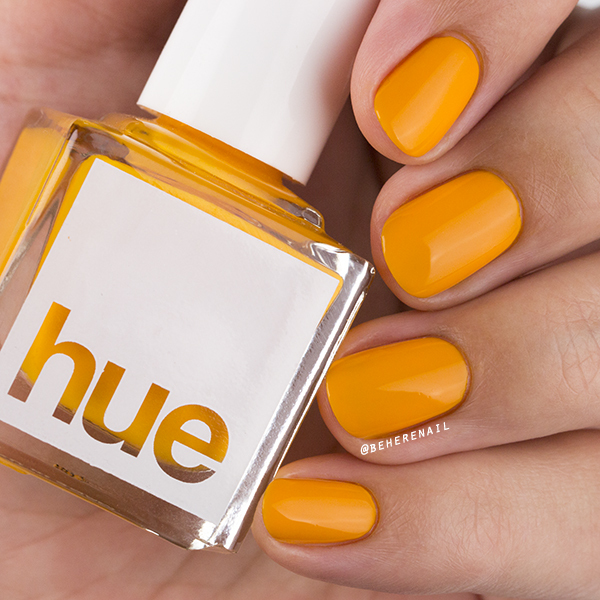 I have a thing for unusual yellows and this saturated creme hits the spot. 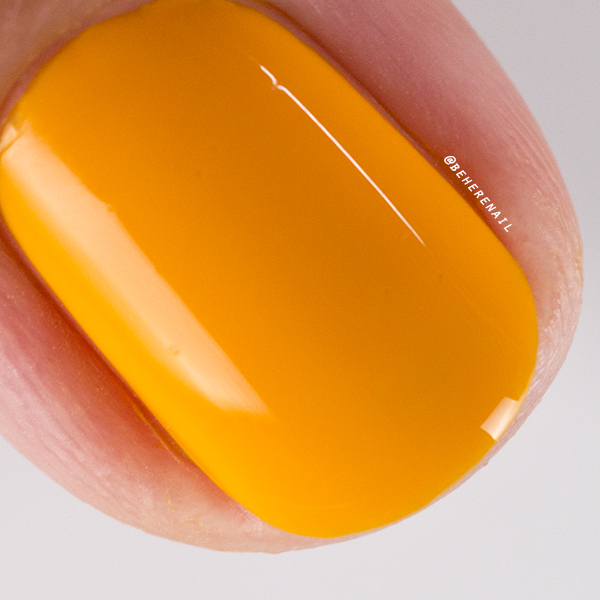 Although the formula on this one was a little thick, I didn't find that too unusual for a highly pigmented yellow creme like this, and it went on easy with full coverage in only two coats! 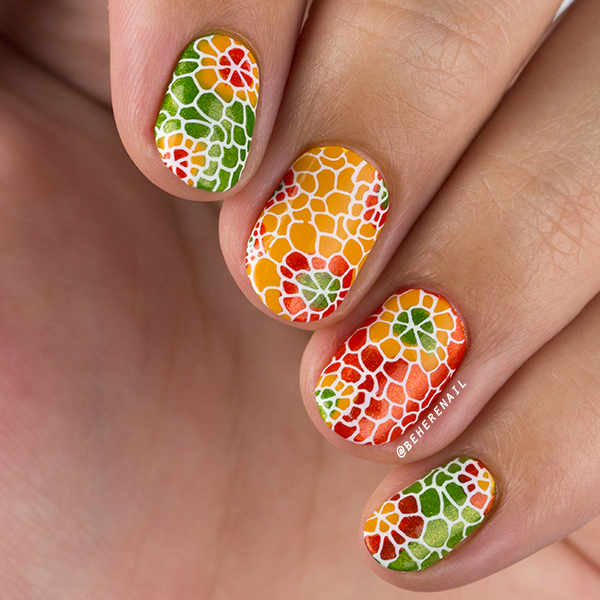 This collection was so excellently arranged I just had to show how well the colors played together in a mani, so I did some reverse stamping! 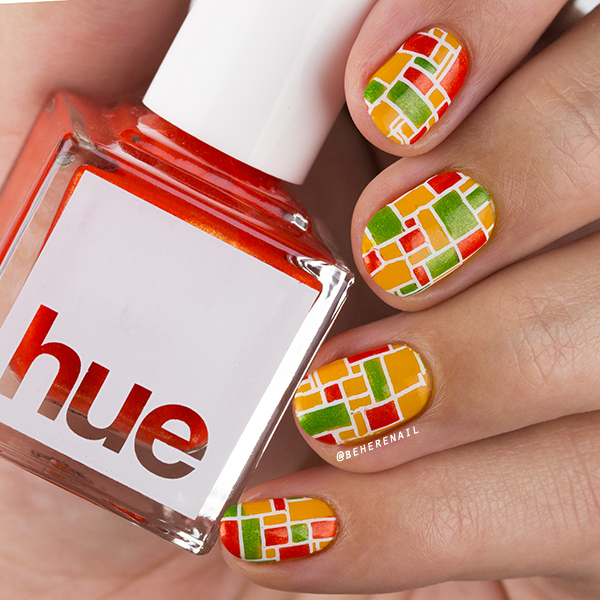 These brights made me think of mosiacs, and I went with a couple of tiled looks. 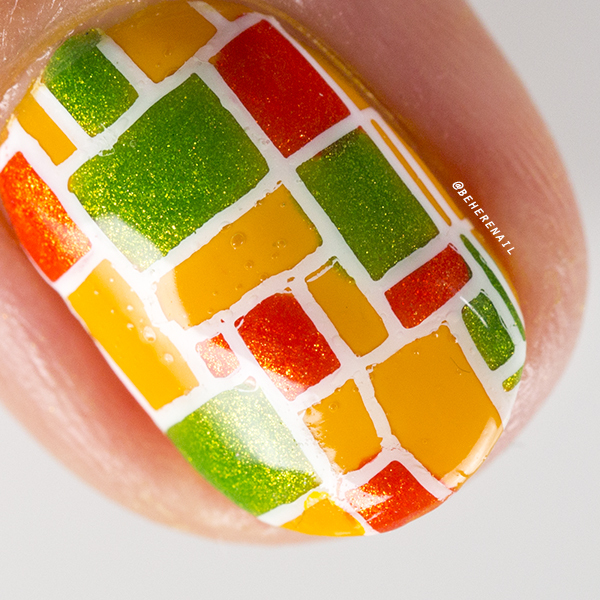 These tiles are from ÜberChic Beauty Collection 9 and I used Mundo de Uñas White to stamp. 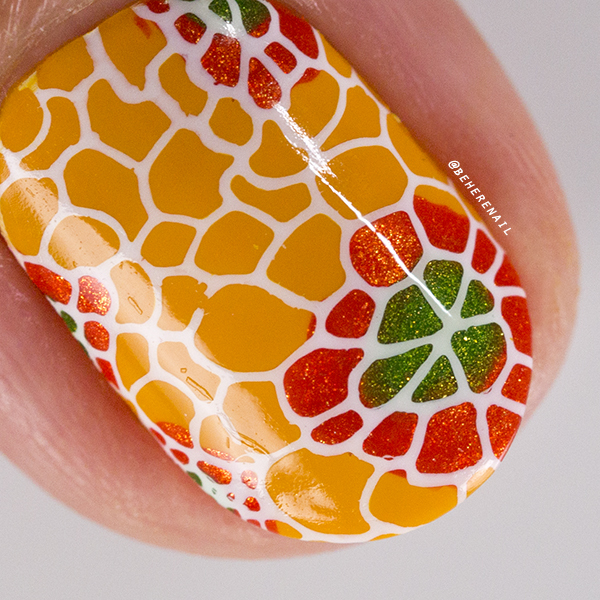 Even though this one isn't quite perfect, I think it shows how fabulously these polishes complement one another! This look is definitely my favorite and I like to save the best for last! Here I used a floral tile image from MoYou London Pro 6, and skittled it up so that each color could stand out! I could have worn this for days! 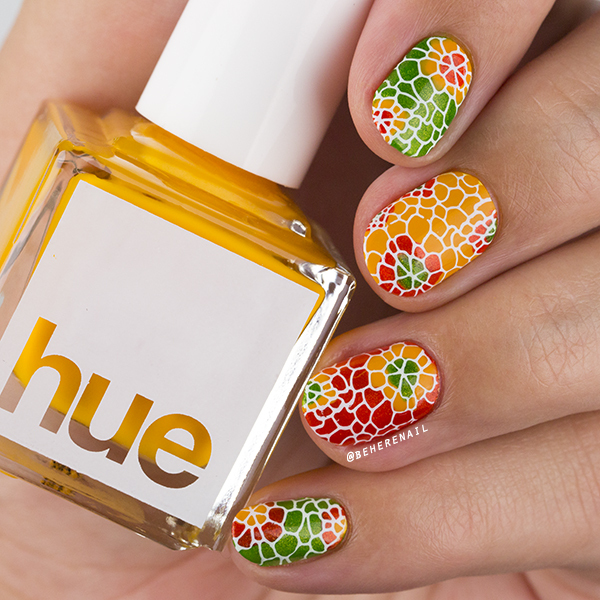 So summery, so retro! The best part about Square Hue is that they give back! Currently they are donating a portion of their profits to The A21 Campaign to fight human trafficking. You'll want to check out their site for more info, but you can feel good about picking up a subscription or just a few polishes! I know I am definitely going to be back for more! Lovely polishes for sure!! Especially that yellow. 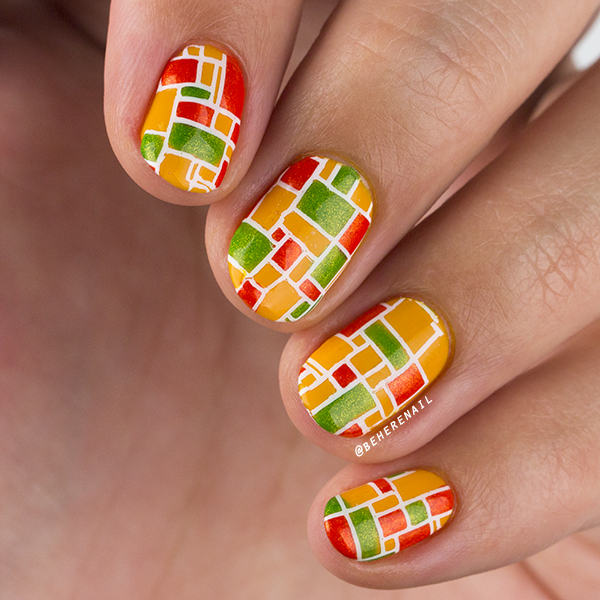 And your nail art designs couldn't be better to show these beauties off!! Thank you so much, Kim!!! 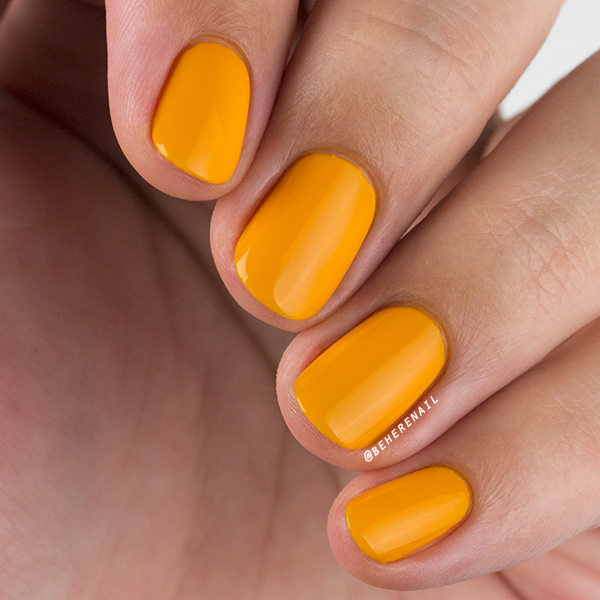 I am seriously excited to own these polishes and I am SO with ya on that yellow. It is so unique! Those square bottles are adorable! Individually these aren't really my favourite colours, but they look fantastic combined in your designs. Wow! I really love how they work together! I'm from Argentina, I'm following you on Instagram too, I invite you to my recently created blog! I've had my eyes on these for a little while now so I had to some see your pretty pictures! Absolutely love that floral tile!